Entertainment throughout the day for everyone. 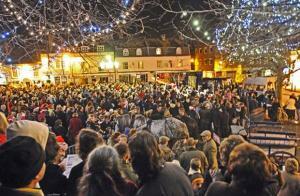 The streets will be full of laughter and song and entertainment provided by music, dance, street theatre and much more. Around every corner will be a surprise! Rotary Club of Ringwood - welcome! Please scroll/swipe down through this page to find out more about us, in addition to the pages linked in the menu, top-left. 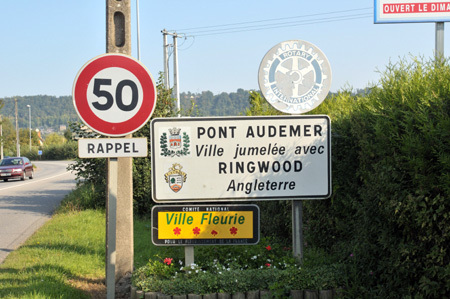 The Rotary Club of Ringwood was founded in 1947 and is part of Rotary International, a worldwide organisation with 1.2 million members of 32000 clubs in over 200 countries. In the U K there are 1800 clubs with c. 50,000 members. We are a dual gender, active and friendly club of local business and professional people and aim to encourage service to the community, promotion of high ethical standards in business and the cultivation of friendship between individuals both home and abroad. If you are interested in our community - and beyond - we would welcome you to come and join us. Explore some of the activities in which we have been involved by clicking on the "What We Do" link at the top of this page. It is remarkable what can be achieved throughout the auspices of Rotary worlwide. You have an opportunity to participate in projects that can make a difference on a local, national and international level with our comprehensive meetings, social events and exchanges with our twin clubs in France and Germany. Explore our website to find out more - or - use the 'CONTACT' tab in the heading. There will be no Rotary meeting on the 23rd April.